It’s been another whirlwind year at the Quill—just how we like it! There have been so many opportunities to get out and interact with our fellow book lovers at home and abroad. Take a step back in time with us as we remember some of the highlights of this past year. 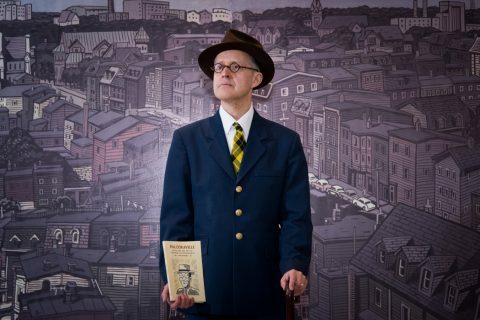 February 19, 2017: Opening reception for an exhibition entitled “Heading to Palooka-Ville: Seth and the Art of the Graphic Novel” at the Peel Art Gallery Museum + Archives in Brampton. Seth holds Tom Smart’s book Palookaville: Seth and the Art of Graphic Autobiography. Photo by Custodio’s Photography Studio Inc., courtesy of PAMA. 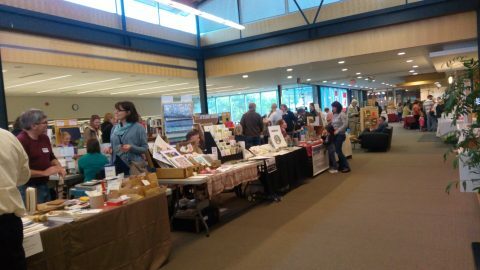 April 29, 2017: An impressive array of exhibitors—from printers to book binders to paper makers—flocked to the annual Grimsby Wayzgoose. 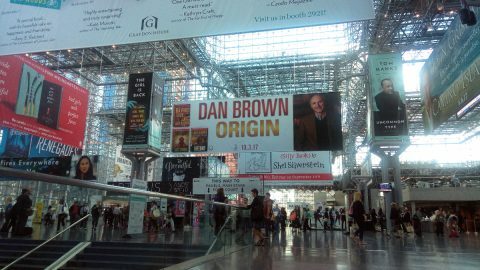 June 1, 2017: This year’s BookExpo took place at the Javits Center in New York. A fantastic show, as well as this porcupette’s first visit to the Big Apple. 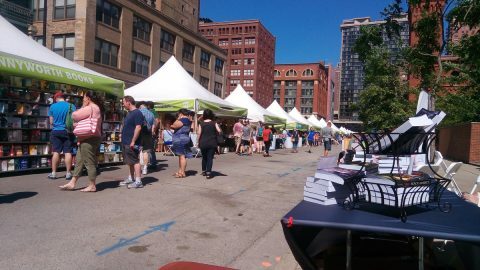 June 10, 2017: It was unbelievably hot in the Windy City, but I still enjoyed the trip to Chicago for the Printers Row Lit Fest. 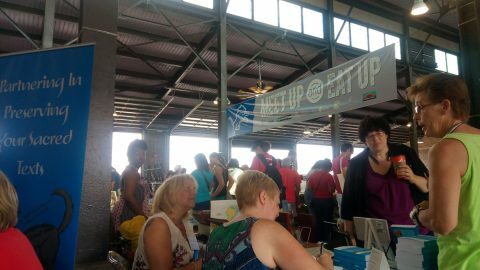 July 16, 2017: I had a fantastic time at the Detroit Book Fest. So many book lovers crowded Eastern Market to soak in the literary atmosphere. September 9, 2017: Who doesn’t love the view at the Fisher Small and Fine Press Fair? 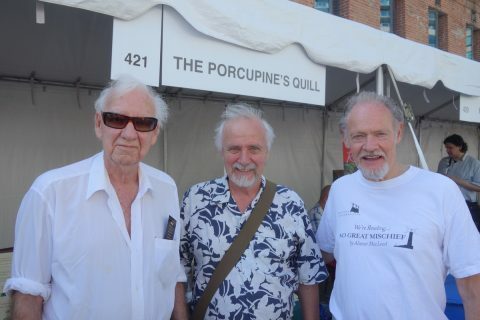 September 24, 2017: Leon Rooke, Tim Inkster and Doug Gibson look pretty happy at Word on the Street Toronto—despite the fact that it was the hottest day of the year! Photo by Don McLeod. 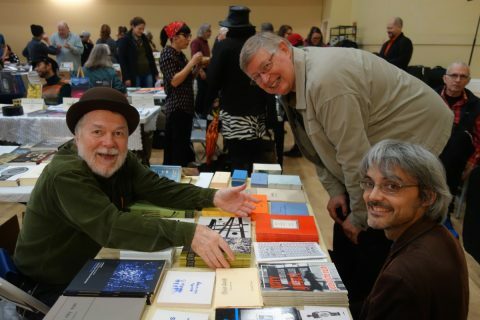 November 18, 2017: Paul Dutton of Underwhich Editions talks to Allan Briesmaster of Quattro Books and writer Hugh Thomas at the Meet the Presses Indie Literary Market. Photo by Don McLeod. 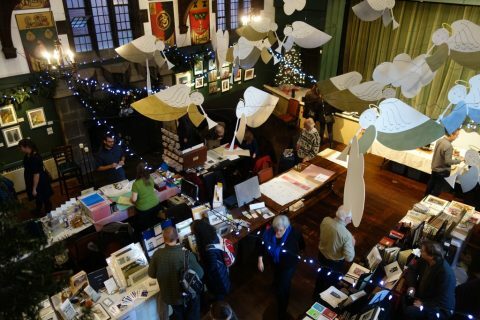 December 2, 2017: A bird’s eye view of the Bound Book Arts Fair. 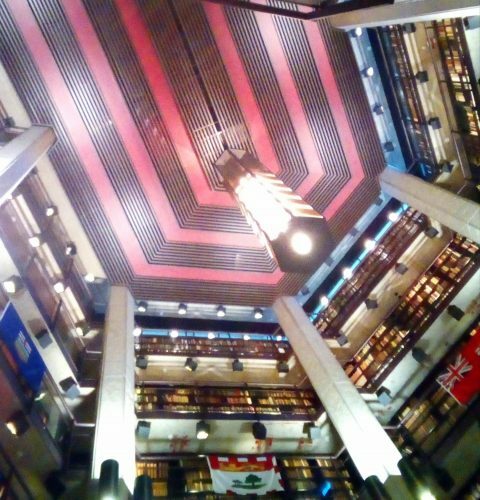 Also proof that the Great Hall at the Arts and Letters Club is sorta like Canadian Hogwarts. Photo by Don McLeod. Thank you all so much for making 2017 such a fun year! We hope to see you all very soon, perhaps at some of our various literary events cropping up in 2018. This entry was posted in Letters from the Porcupette (the Intern's Blog) and tagged BookExpo, Bound Book Arts Fair, Detroit Book Fest, Fisher Small Press Fair, Leon Rooke, Meet the Presses, out and about with the quill, Palookaville, Printers Row Lit Fest, Seth, Tom Smart. Bookmark the permalink.